Getting the most use from your Rhino is something we all try to do. From magnetizing weapon options to plasticard additions and beyond, there are a number of things you can do to your Rhino chassis to get the most from it. Forge World continues to release some great looking earlier pattern vehicles that provide some wonderful variety to the armoured portion of our lists as well. Case in point, the new Deimos Pattern Predator with super cool ancient weapon options. Makes the regular Predator look a bit bland. While it's certainly possible to head over to Forge World and pick up a few sets of extra armour and all of the fancy upgrades for your vehicles, it is possible to make them on your own with a little bit of work. Don't get me wrong, the FW route will be much easier, it will just cost considerably more. Let's look at a couple of options out there for the gamer looking to get the most from their vehicles and make them stand out from the rest of the motorpool. This might be the easiest thing of all to do to a vehicle. It gives it a slightly embellished look right away. You can freehand the designs on there and add a tremendous amount of character to a vehicle with this one step alone. Getting your designs onto your vehicle shouldn't be tough to do either. 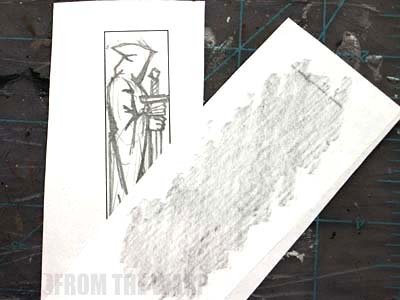 Figure out the size and shape of the area you have to work in, draw out your design in pencil and turn that into a transfer by rubbing your pencil on the back, setting it onto the vehicle and tracing over it with a ballpoint pen. You'll have a light pencil outline on your vehicle to follow as you paint. Then it's just a matter of painting within the lines you've just transferred onto the armour. If your army is supported by Forge World in terms of brass etch, that can add some great detail to a model as well. Adding brass etch will get you some wonderfully fine detail work on your model. While only so many armies are supported, if you've got one of them, this might be work considering. A few additions of this with some careful freehand can turn a bog standard vehicle into a work of art. And adding brass etch is easy to do. 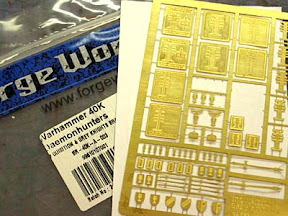 Here's a post with some steps you can use to add brass etch to your model and get even the smallest of pieces in place. The next step up is making and casting iconography for your vehicle. The added texture on the wide open flat surfaces of your tank can really bring a vehicle to life. Once you make your master, a simple press mold will allow you to create a number of casts of it for more than one vehicle. The trick is getting the master made. After that, you'll have it available to cast for all of your vehicles. And you'll have the added bonus of consistency. All of your iconography will be the same shape and size across all your vehicles. This kind of thing adds up visually. Making single piece press molds is not as hard as you might think. Of all of the kinds of molds out there, these are the ones that folks can make without a tremendous amount of skill and equipment. I use Blu-Stuff when making mine and for me, it's hands down the way to go. I've got a post about making molds for shoulderpads, but the idea works for this as well. It doesn't take much practice and single piece molds are very easy to do and the results can be impressive. The last two options are for you folks who are not afraid of a little conversion work. This is almost a "must do" when you get a Rhino. It should be part of the instructions really. Doing this will allow you to use your Rhino in as many different ways as you can think of. Magnetizing the weapon mounts allows you to field it as any number of tanks that start with the great Rhino STC. Don't let the idea of adding magnets scare you away. The cost is minimal and the results are way more than you get for the work you put into it. I've got some methods here and a quick search will certainly yield a dozen more methods to do the same thing. The key here is options. Being able to load out your tank with the weapons you want makes it all the more enjoyable to use in games. Now we're getting into the more involved conversions. Magnetizing can take some work, but it's not terribly difficult. 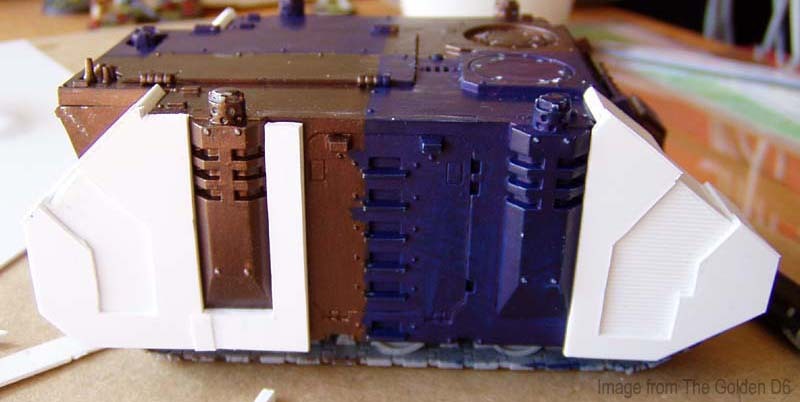 For those folks who want to exercise their plasticard skills, this can really change the look of your tanks. Let me start by thanking Green Stuff Industries and The Golden D6 for sharing this stuff on their sites. I've collected their stuff and some other templates I was able to find when it comes to building your own reinforced and spaced Rhino armour. I've taken all three sets of templates and put them together in one PDF you can download and use to make the extra armour plates on your own. This is only for a Rhino though and it's just the templates... I don't have any in depth directions to follow. It doesn't seem that hard to do really and I suspect most of us can piece it together with a Rhino sitting in front of us. 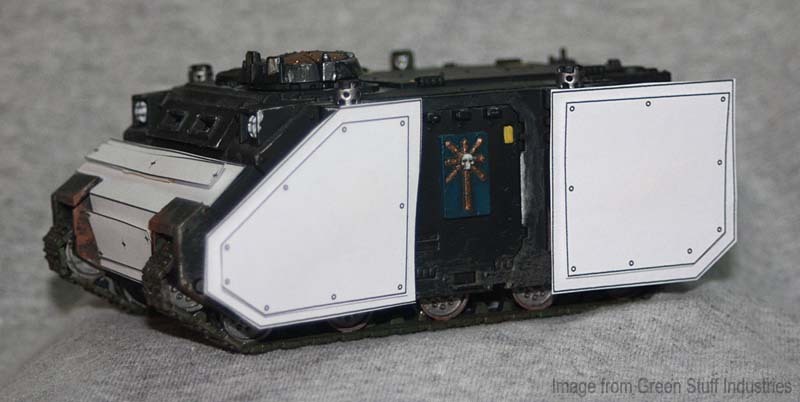 I don't have anything for Land Raiders unfortunately so if anyone knows of any templates or such, let me know and I'll get it added. The standard Space Marine Rhino chassis is perhaps the most used STC in the 40k universe next to the common bolter. There are lots of ways you can get the most from your vehicle. Even if it's just a magnet here or there or a cool icon you glue onto the back hatch, it's worth taking that extra minute or two and doing that. It pays off ten fold in the end when you set your tank down on the table. One tip that should be emphasized is NEVER BUY A RHINO KIT! Unless you're getting a ridiculous deal on a rhino you should always buy one of the other kits instead of a rhino. 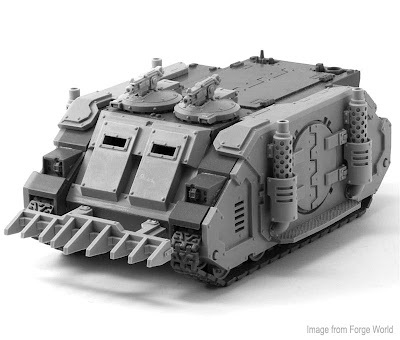 The razorback kit is only $2 more and has everything from the rhino kit plus the razorback turret and bits. Similarly, the other rhino based kits come with everything you need for a rhino. Buy any one of those and magnetize as Ron suggests. Nice article! I couldn't agree more! In the UK the Rhino and Razorback kits both cost £20.50. I asked my local GW manager about that once and he said that it was crazy, but even after pointing this out to some of his customers who were buying Rhinos they still bought them. Apparently they didn't care about the extra plastic, they just wanted a Rhino. I honestly can't wrap my head around that... My bits box would never forgive me! How I used to make Pre-Heresy Armor was to buy an old RT rhino pop off the side hatches,front double hatch(the thing people use as arbite shields)and the back hatch. Then I would use a blank piece of card for the front and glue the doors onto that and glue the side doors directly onto the flat rhino doors. Excellent, glad this helps guys! It's not too much, more of a reminder of the simple stuff you can do without sinking tons of money into Forge World bits. Excellent article as always! 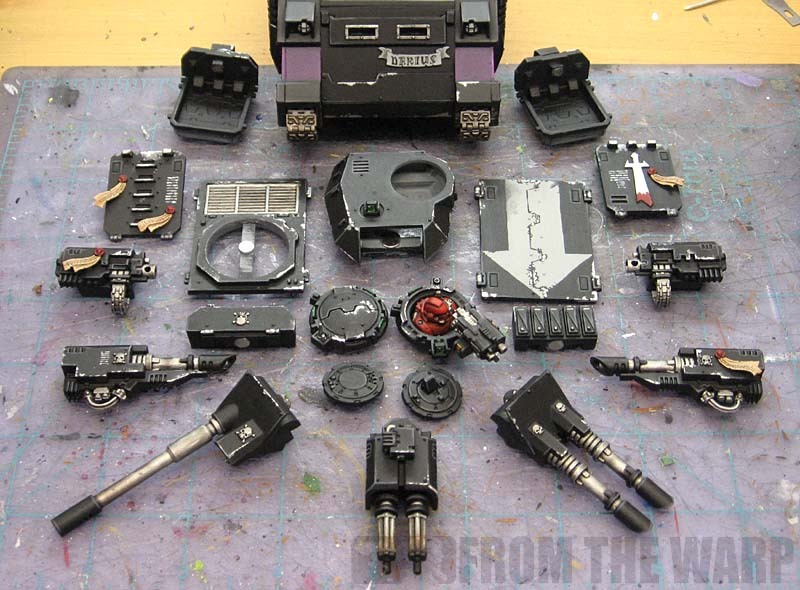 I always love a good conversion so I thought I should share another couple or conversion guides which I have found while building my pre-heresy Iron Hands army. I am currently in the process of using this and I hope that mine comes out even half as well as his. I have use this one several times and have have been very happy with the results. You can use it for doing other rhino based vehicles as well, which allows you to create a nice consistent look across an army. Spinitron: Great stuff, thanks for the links! 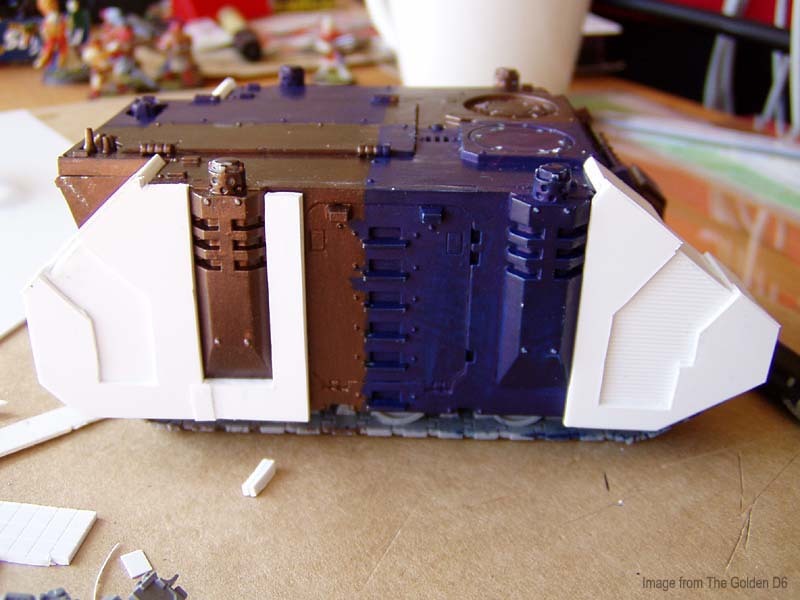 I may have to try that on my Land Raider to get the old MK1 look. Awesome post, gonna share it, thanks sir! Loving the strip down component so you can make various options on rhino\predator etc from the box. I bought magnest but they seem a bit small, 2*2mm might need 4mm diameter. 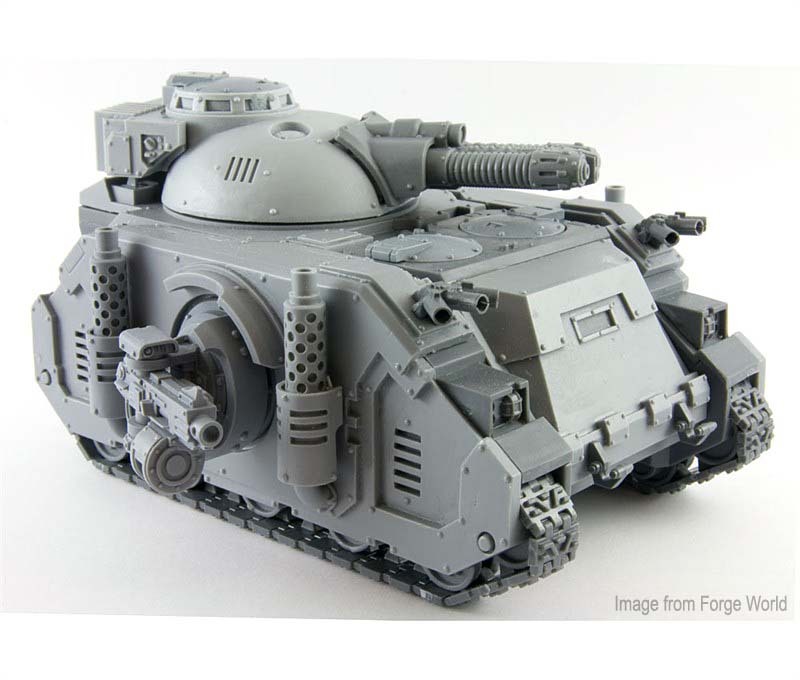 May shoehorn in a new predator into the novamarines force to bulk it out, and a dreadnought, again magnetising the options, would probably be an attractive selling point i feel. Richard Rose: You can't go wrong with magnets. The options they give you is great. And... when it comes to selling it, it can be a huge bonus as the new buyer can make the models into what they want. It's about flexibility.